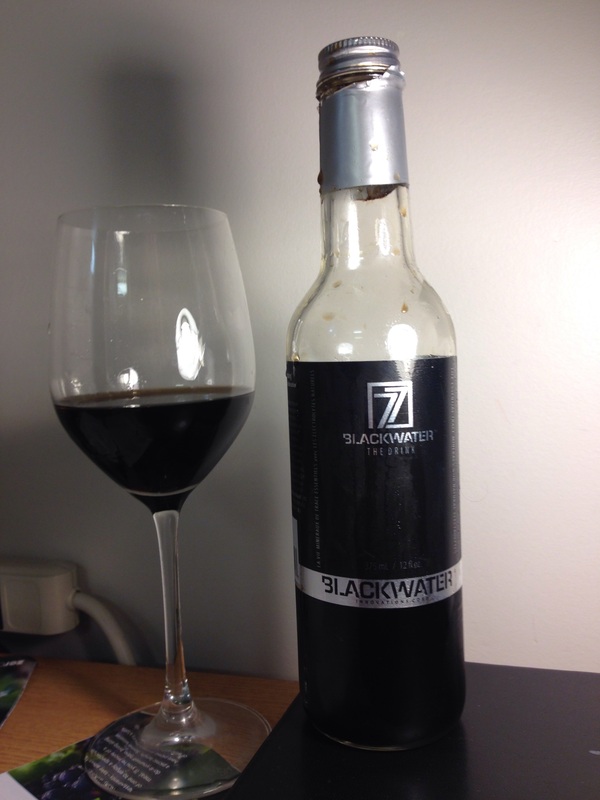 Waywardwine continues to explore drinks in Vancouver BC with Blackwater, which is exactly as it sounds: water that is black. Well, if we’re honest, Blackwater looks brown, akin to Guinness. But I imagine Brownwater didn’t fly with marketing at Innovations Corp.
We found this fine bottle on sale for a buck at Urban Fair: the kind of grocery store with Mazaratis and Porsches parked outside. We had gone their tracing after rumors of $200 French bread shipped direct from France. No dice. 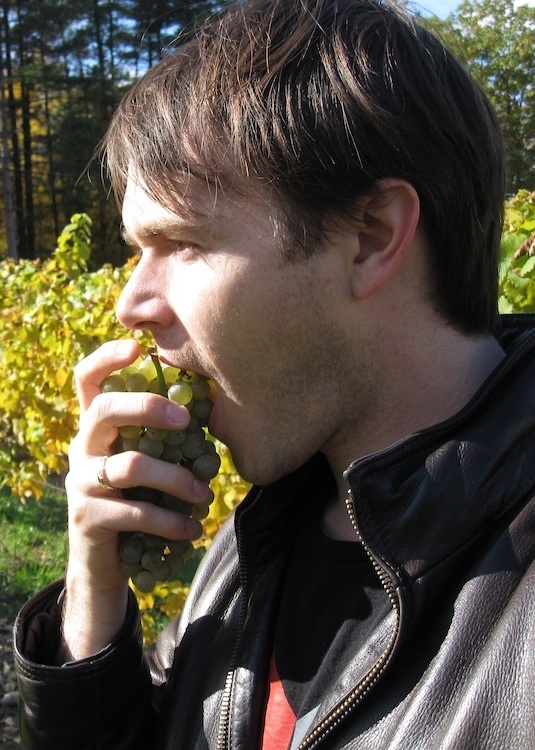 But we found Blackwater (and Mailles’ exclusive Chablis, truffle mustard we found only in Dijon and Paris). So, in our search to define the terroir that defines the definition of British Columbia’s drinks, what serves us better than dirty water? And not just any dirty water, but organic dirty water sourced from an 80 million year deposit in the Rockies. Appearance: it looks like the inky brown, peat-infused depths of Lochness. Palate: Dry, minimal acid, minimal fine grained texture, and a light body. Flavors: taste of well, water. But when we strain really, really, really hard, mild flavors of iron, overused green tea leaf, and twigs emerge. Conclusions: According to their back label, Blackwater contains “natural electrolytes, antioxidants, a +8pH and 77 plus life essential trace minerals”. So it’s a stylish health drink for posh restaurants that looks like bog water and tastes like mild minerals. The silver skyrise 1.1 million dollar condos of Vancouver should be in love! The drink clearly defines their aspirations. Even if it’s on major clearance at their boutique grocery store. Maybe Tokyo? Maybe a review of that glorious sounding moutard? By organic, what kind of health standards our they talking about, pure? I could totally see something like this taking off in Tokyo. I doubt it’ll take off in places like Oklahoma though.